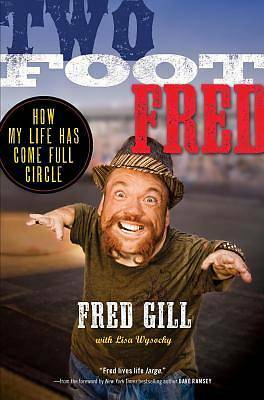 Country music celebrity Two Foot Fred shares his story of living with dwarfism, overcoming odds, and finding peace and success with a positive attitude. Despite his physical limitations from birth--a form of dwarfism known as diastrophic dysplasia, a cleft palate, clubfeet, and scoliosis--Fred Gill rose above his circumstances to graduate college and open his first restaurant by the young age of twenty-two. In 1998, Fred took a life-changing trip to Nashville during the city's annual country music celebration, where he met John Rich. That fateful meeting led to a regular job as Ambassador of Attractions for the band Big & Rich, as well as to appearances at numerous country music award shows and on other television programs. But while his successes are many, Fred has had more than his share of challenges, including "a quarter-life crisis" and troubles with depression, alcohol, and gambling. Like many other celebrities, Fred worked to find peace, turning to his small-town upbringing for solace and affirmation. Two Foot Fred shows that nothing can defeat you unless you allow it to, and that our lives are simply what we make of them.